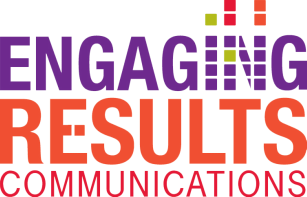 Engaging Results Communications is a full-service marketing firm that specializes in providing strategic marketing services to organizations. We recognize that real human beings are at the heart of every business-buyer relationship, and their experiences, desires, pains and challenges are unique. That’s why we're committed to learning everything there is to know about your target customers, so we can communicate your stories in ways that resonate with your audiences. Our monthly tips provide insights on all things marketing. Subscribe to get your free marketing tips today! Kay-Tee’s experience in business leadership and strategic marketing is driven by her aspiration to disrupt the market while making a significantly positive impact on the community. With coffee in one hand and mobile technology in the other, she is connecting organizations with their audiences. In addition to her role as President of Engaging Results Communications, a full service mobile marketing firm, she serves for March of Dimes Western WI, WWBIC, and REACH-a-Child. Armed with a strong passion for working with people, Becky strives to create a valuable client experience. Her background in the fine arts allows her to take a creative approach in tackling projects and helping clients find marketing solutions. Becky also is passionate about supporting local businesses, which is evident by her time served as a board member for Dane Buy Local. Meghan is a passionate alumna of Marquette University, and has continued to navigate the waters of her career living out the pillars of Leadership, Excellence, Faith, and Service ever since. Her willingness to jump in on any project, knack for creating valuable connections, and fervor for helping people lead her to tell client's stories in a way that makes a positive impact in the community they navigate. In her spare time, Megan enjoys running outdoors, singing at family weddings, and volunteering at American Cancer Society’s Relay for Life events. ​Qinghua is pursuing a Bachelor’s Degree in Business Administration from University of Wisconsin. Prior to joining ERC, she was a successful retention specialist for Fortune 500 clients where her active listening and analytical skills enabled her to find creative solutions to meet diverse needs. Qinghua also holds a Bachelor's Degree in classical Piano performance and enjoys attending local chamber events with her daughter. Jantzsen brings +7 years of customer-focused experienced, backed by a bachelor's degree in Public Relations. Customer relationship management is a focus point for Jantzsen, as everyone wants to be treated as the individual they are, and not just a customer. With a strategic mind, an analytical approach, and the drive to help others, Jantzsen helps organizations succeed! ERC supports the local communities it serves. We feel that participating in community efforts helps to strengthen the business community. ERC has developed an SMS fundraising program to benefit local non-profit organizations. If your organization has a 501(C)3 status, directly benefits the local community and has 15 or more active participants, then you could qualify to use this program. Email community [at] ercsms.com today to start using this fundraising tool and promote your worthwhile cause.